Move Your Blog From Blogger To WordPress Without Losing SEO. In this amazing era of blogging, people are exploring their interests and sharing with the world. Blogger is one of the most useful free blogging platforms where you can start your own blog just with a Google account. But to enter the professional world, it’s always recommended to move your blog from Blogger to WordPress. Most of the people get worried of the SEO of their blog which is on the Blogger platform. Well, you will have the guide to transfer without losing SEO. What Should You Do Before Starting The Process? 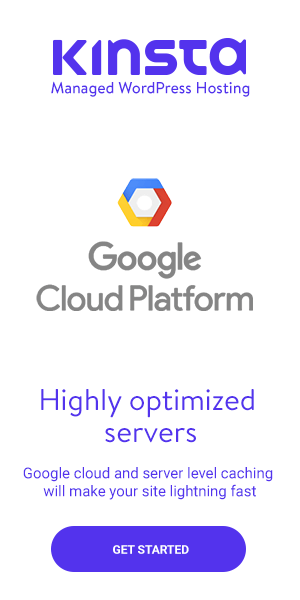 Before you start the migration procedure, you should do a few things. First of all, buy a new domain name from a reputed company and a web hosting plan from a reliable web hosting provider. 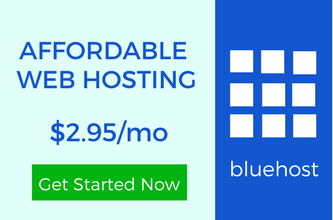 We recommend Inmotionhosting and BlueHost to start your blog on the self-hosted version of WordPress. 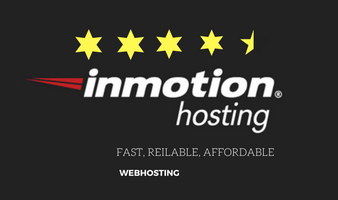 You should always be careful while buying a web hosting plan. If you buy an unreliable hosting then there are chances that you would face many problems. You should know the signs that you should change your web hosting. What Are The Required Steps For Moving From Blogger To WordPress? Export Content From Your Blogger Account. Import The Content To WordPress. Do The Necessary WordPress Settings. Redirect Blogger Visitors To Your WordPress blog. Redirect RSS Feeds To WordPress. Check Images And Other Do Some Extra Settings. These are the basic steps to move your blog from Blogger to WordPress. You will go through one step at a time and within a few minutes, you will have a fresh blog on WordPress. After buying your own domain name and web hosting, you should install WordPress. There are different ways to do that. Either you install WordPress using cPanel manually or use the one-click WordPress installation option present in almost every web hosting. You have to create a database for your WordPress install so that after moving the Blogger content, you can run it perfectly like a WordPress blog. WordPress will generate the database tables when you move the content. #2. Export Content From Your Blogger Account. Login to your Blogger account and in the dashboard go to settings>>other. You will see a few options. Just click on the “Back up content”. This will show you a popup in which you have to click on “save to your computer” button and then an XML file will get start downloading. Depending on the size of your blog, you will have the full backup to your computer hard drive. #3. Import The Content To WordPress. You have just downloaded the full backup of your Blogger posts. Now is the time to import that XML file to WordPress. Just login to WordPress admin panel and go to Tools>>Import and many tools will appear to you. You have to click on the “Install Now” option below “Blogger”. After that, a WordPress Importer plugin will start installing and you will get an option to choose the file from your computer. Choose the file and click on the “Upload file and import” button. Depending on the size of the file it will get uploaded. Normally it takes a few seconds. Now, you will be asked to assign all the post to an author. Obviously, choose your name as you have only one user yet. You can also create a new user. Click on the “Submit” button and the content will get imported successfully. If you face any problem while importing the file then you have to increase file upload size limit. It’s because if the size of the XML file is bigger than the default upload file limit, WordPress wouldn’t accept that. You have to increase the limit. If you don’t face any problem then congrats, you have successfully moved the content from Blogger to WordPress. To import the Blogger’ pages, you have to add the HTML of all the pages in WordPress. 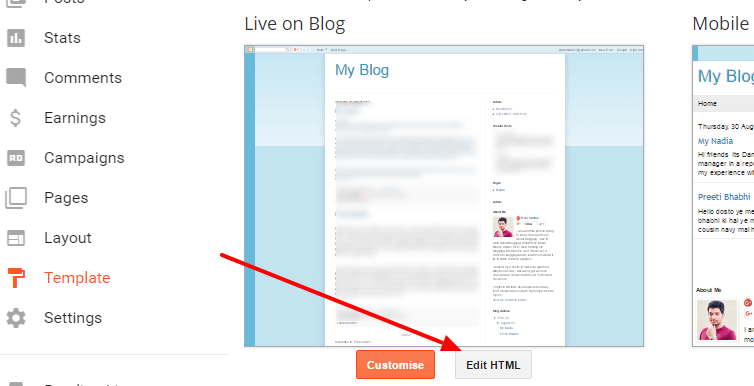 Open Blogger’s pages and click on the “HTML” button and copy it. Paste it when you create the new page from WordPress admin panel Go to Pages>>Add New and paste the HTML code in the “Text” Editor. #4. Do All The Necessary WordPress Settings. To maintain the SEO, it’s important to do the proper permalink structures setting. WordPress gives you freedom to set SEO-friendly permalinks. To match the Blogger’s permalinks, you should choose “Month and name” option. It’s because Blogger provides the similar permalinks to all the posts. If you use any other then it may conflict with the SEO. Just go to Settings>>Permalinks and select “Month and name”. If you want to move your blog from Blogger to WordPress then this step is really important. #5. Install A Better WordPress Theme. If you want to use the free WordPress themes then just go to Appearance>>Themes and you will see the default WordPress theme. You can also install any other theme by searching from the WordPress theme repository. You should know the basics to install a WordPress theme. And if you want a better-looking theme then you can buy any theme. There are many theme providers. As you all know that the design of your website is very important to provide the better user experience. People make many worst web design mistakes and you shouldn’t make any. And if you need any custom WordPress theme then contact us. #6. Redirect Blogger’s Visitors To Your WordPress blog. Now is the time to make a redirect so that your readers and Google can come to know that the blog has shifted to a new place. To accomplish this task you would need a plugin. You can learn our guide to install WordPress plugin. Just go to Plugins>>Add New and search for the plugin “Blogger To WordPress“. Now go to Tools>>Blogger To WordPress and a new page will appear to you. You will see a box with the full of codes. You have to copy that code. Now go to Blogger account and click on Template>>Backup/Restore. You will see the HTML template used on your blog. Click on the “Edit HTML” button below the template. Delete the existing code and paste the code copied from the plugin and save the template. You have successfully redirected your readers. This is one of the most important steps to move your blog from Blogger to WordPress platform. 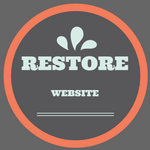 After redirection, your readers will get redirected to the WordPress blog. #7. Redirect RSS Feeds To WordPress. You have to import your RSS feeds from Blogger to WordPress. For which you should create the feeds using Feedburner for your WordPress blog. Here is the guide to set up Feedburner for WordPress. Just login to your Google Feedburner account and choose the name of your Blogger’s blog feed and edit it. Replace the name with the new feed URL of your WordPress blog. There is one more thing to do. You have to copy the WordPress Feed URL and paste it in the Blogger’s account. Open the Blogger’s account page. Go to settings>>other and in the “Post Feed Redirect URL” box, paste the original feed URL of your WordPress blog. Save the settings and you are good to go. #8. Check The Images And Other Settings. Sometimes the WordPress Importer lacks in fetching all the images from Blogger platform. So if you find any image missing, you have to import it manually. And there are many other things you should do after WordPress installation. Like, you should add a favicon to your website, install Google Analytics. You should also follow the WordPress security tips. Update your author box and many other things. You can easily configure all those things when you become familiar with WordPress CMS. Was That Difficult To Move Your Blog From Blogger To WordPress Platform? I know, it can be overwhelming but if you go step by step, there wouldn’t be any problem. Don’t be in hurry, just take one step at a time. And it is possible that your readers’ matrix may fluctuate but it wouldn’t affect the SEO. Within a few weeks, everything will be normal like before. You will have all of your visitors like you used to. Do you still think it’s hard to move your blog from Blogger to WordPress? Did any of your friends try this migration process? This is beautiful, my friend. Way back in the day when I was on Blogger and moved to WordPress.com, there were so many issues with the import. I’m hoping now, and it seems so after your tutorial, that things are much more simple now. I’m passing this along and bookmarking it. I know many who have asked about moving from Blogger to WordPress so this will come in handy. Just a few days ago, three bloggers asked me to provide a guide so that they can migrate to WordPress. Just thought to help them. For a non-techie person, it’s quite hard to do such things. This time also I found very useful tutorial on your website – many people are interested in migration but they don’t know it whole process I think it will very helpful for people to get easily migrate. Eventually, thanks for reveling a light on this topic. I understand how people struggle to find the right guide. For every blogger, it’s the time to upgrade and WordPress is the right place. I am glad that you found this guide helpful. Yet another wonderful tutorial for bloggers! This is really a great help to the people who want to migrate their stuff from blogger to WP. and later i learned some technics but not fully equipped with it. I am sure this tuto is a wonderful one to do this easily. Thanks Ravi for the step by step guide you presented in this post. There are still many users who are using Blogger and want to migrate their blog to WordPress. But due to unavailability of a proper guide, they drop this idea. You are lucky that had your friend to do all that for you. And you’re having fun with both the platforms. Hey Ravi it’s really well described post for migration of a Blogger Blog to a WordPress. I think migrating blogger blog to WordPress platform is better to rank higher in SERP. To start your blogging journey, Blogger is a useful platform. But to enter directly into the professional world, you would need the platforms like WordPress. Glad to see that you’re using my theme. This is amazing tutorial, but I have read some where that include data and month in URL has negative impact what you suggest me to do if I will move site from blogger to WP but don’t want to include the date and month? If I will chose the simple post name is this can harm SEO? Choosing the simple post name is the SEO-friendly permalink structure which should be used when you start your website with WordPress. But when you move it from Blogger, you have to match the Blogger’s permalink. Otherwise, your users will get 404 error. It’s important to keep the SEO. Hello Ravi sir, some famous blogger says that blogs on blogspot blogger platform can be deleted by google without any reason and without any prior notice to its owner. Is it true or false ? Can a person earn good money from blogging on blogger blogspot without any investment ? Is it true that blogging on selfhosted wordpress platform brings more traffic and income compared to blogger platform with same effort and work ? I don’t have money to invest in blogging. Is it good to start with blogspot ? I am afraid to start with blogger because the above written matters. Kindly suggest me. It’s true that if you violate Google rules, it can delete your blog from Blogger. To build a professional blog, it’s always recommended to use self-hosted version of WordPress. Google AdSense doesn’t really prefer Blogger.